The SpursEngine is a graphics co-processor that features some of the same graphics technology found in the Cell chip, which runs the PlayStation 3 and which Toshiba helped develop. The chip is designed to run alongside a main processor and handle all of the heavy graphics work that is better suited to a multicore processor than a conventional CPU. It also has a hardware video encoder and decoder engine. Elsewhere in our roundup Samsung's latest digital video camera has a function you don't often see on video cameras: time-lapse. And LG turns to wireless to cut down on cabling required with its latest TV sets while Sony launches its second new Walkman players in as many months. et video images. The company's new Qosmio machines, which have just launched in Japan and will soon be available worldwide, use the graphics processing chip to clean up video from sites such as YouTube. The function will work when playing video fullscreen -- not when it's played in a window on a Web site -- and only when using Internet Explorer. In a short test edges were sharper, colors were a little richer and brightness and contrast adjusted so that black areas of the screen appear black and not grey. The system also creates new frames so that fast-moving video appears to flow more smoothly. This is something especially noticeable where a camera pans across a scene. It's a neat system but it doesn't come cheap as it's in the big, heavy, multimedia Qosmio laptop that costs ¥340,000 (US$3,420) for the top-of-the-range model. n embedded optical sensor. The 4-inch LCD panel packs optical sensors between the screen's pixels so it can both display an image and sense fingers or pens placed on its surface. In its most basic mode the small screen acts as a conventional mouse trackpad, but can also be used to launch applications by tapping on-screen shortcuts. You can also use it to doodle on pictures, which is a lot of fun. Most touchscreens can manage just one or two fingers at once but the small screen in the new laptop can sense up to four, so Sharp has also installed a simple keyboard application that can be used for simple tunes. The Atom-based laptop will hit Japan this month for around ¥80,000 (US$808). International launch plans have yet to be announced but it will likely hit Asian markets first. h like the iPod Shuffle but unlike the Apple player comes in 20 colors and has a small, color screen on its body alongside some basic control buttons. 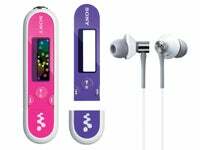 The look of the player can be changed with skins and each Walkman includes one additional skin. It's available in three versions: 2GB, 4GB and 8GB, with the latter device having sufficient space for up to about 2,000 average size audio files. The battery can be charged via USB and a full charge should last about 28 hours. They will cost from ¥8,000 for the 2GB version to ¥12,000 for the 8GB version and Sony has yet to detail international launch plans for the product. Samsung Electronics became the first major mobile phone maker this month to launch a smartphone based on Google's Android software. The I7500 sports a 3.2-inch touchscreen, a 5-megapixel camera and 8GB of internal memory and will be available in major European countries starting from June. The mobile phone joins two Android handsets already on the market from High Tech Computer (HTC) of Taiwan, the T-Mobile G1 and the HTC Magic. Android handsets from other makers have also been announced. The smartphone can connect to mobile phone broadband services through HSPA (High Speed Packet Access) as well as Wi-Fi. Prices vary depending on carrier subsidy and market. Taiwan's MSI has launched an ultra-thin laptop to rival the MacBook Air. 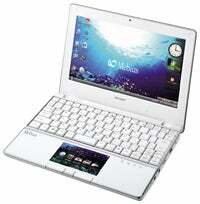 The X-Slim 340 comes with a 13-inch screen, runs Windows Vista Home and uses a low-power Intel Core 2 Solo processor. MSI had earlier said it would use a less powerful Atom processor. The PC is thin ranging from 6-millimeters at the thinnest point to 20mm at the thickest point, which is where several connectors can be found including USB, HDMI, headphone, microphone, D-Sub Video Out and LAN port. Users can expect up to 7 hours of battery life from the standard battery. MSI has yet to announce prices for the X-Slim 340. Unsightly cables are an enemy to neatness in any living room but until recently they've been an unavoidable part of a home entertainment system. You have to get the picture and video to a TV somehow, right? Now, LG's latest full high-def TVs for the Korean market are among the first to make use of wireless technology to connect the mediahub to the screen. There are 42-, 47- and 55-inch models available with the largest set costing about 5.1 million won (US$4,120). It's available in South Korea only but the technology should be coming to LG models in other markets. Samsung's latest video camera based on a solid-state drive, the HMX-H106, is now available following its CES preview. The camera shoots at full high-def resolution of 1920 by 1080. 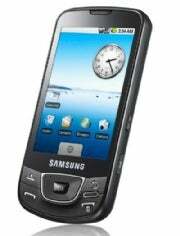 It can also snap pictures at 4.7-megapixel quality. One of the more interesting features is a time-lapse recording mode that will shoot images at a predetermined interval of either 1, 3, 5, 10, 15 or 30 seconds and stitch them all together to make a video file. The internal 64GB SSD has enough space to store about 12 hours of video encoded in H264. Leadtek is showing off an external version of its SpursEngine-based graphics co-processor board. The board can speed up heavy-duty video processing by taking the work off the main processor and running it through its four processing cores and hardware MPEG2 and MPEG4 encoders but is no good for laptop users because it won't fit in the computer. That's where the new external version comes in. The WinFast HPVC1100 is only a prototype for now but is envisaged to hook-up to a laptop via a PCI Express connector. There's no word on when it will be out or the price but the prototype looks quite advanced so it shouldn't be too far away.